Taxpayers often ask why the CRA commenced an audit or whether taking a particular step might target them for a future audit. These are reasonable concerns, since the CRA’s approach to audit selection is generally not random, but rather based on risk assessment. Research comparing the effectiveness of random versus targeted audits was conducted under the CRA’s Small and Medium Enterprises Research Audit Program (formerly the Core Audit Program), which utilized random auditing. According to the 2010-2011 CRA Report, in that year random auditing detected significant non-compliance in only 12.2% of audits, while targeted auditing based on risk assessment detected significant non-compliance in 46.7% of cases. 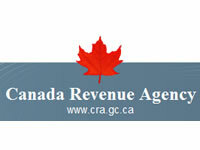 Therefore, targeted auditing based on risk assessment has become the CRA’s preferred approach. Here is a summary of common audit triggers or risks for getting or staying on the CRA’s “radar”. Inconsistencies between third party information and taxpayer’s filing position: The CRA’s “matching” program compares information from third parties, employers, financial institutions and other sources with taxpayer’s filing positions to confirm filing accuracy. The CRA’s ability to match this information has significantly improved in recent years, enhancing this type of risk assessment. Employer compliance: The CRA continues to aggressively pursue a range of issues pertaining to employer compliance, including the timely remittance of source deductions, the status of workers as either independent contractors or employees, taxable benefits and relocation costs. Inquiries often arise when an independent contractor seeks employment insurance benefits, triggering a CRA ruling on the worker’s status. While an inquiry pertaining to a single worker would not trigger significant financial exposure, it can lead to rulings for similarly categorized workers and result in significant assessments for premiums under the Employment Insurance Act and the Canada Pension Plan. Payroll audits may also include inquiries into taxable benefits received by workers, including personal use of employer assets, allowances, free parking, interest-free or low-interest loans, stock options, incentives/gifts/prizes, relocation expenses, retiring allowances, termination payments and tuition fee assistance. Payroll audits may also reveal the presence of non-resident workers in Canada temporarily. Beware the disgruntled former independent contractor. Not complying with CRA requests for information: This is not only damaging to a taxpayer’s position for a year being audited, it also likely flags the taxpayer for future audit inquiries. The CRA appears to be downloading greater responsibility to taxpayers in the course of audits, by making more comprehensive demands for documents and information to be supplied to the CRA, rather than scheduling time for field audits at a taxpayer’s place of business. Supplying information to the CRA should be carefully managed, to ensure that the CRA’s requirements are fulfilled without over-disclosing information, including protecting documents and information that would be subject to privilege. Similarly, if there were issues with a previous audit, the taxpayer would be more likely to be “on the radar” and subject to future audits. Requests to amend income tax or GST/HST returns: While amendments to returns or account closures may be necessary or desirable, these steps may attract audit scrutiny. Certain tax strategies that the CRA may challenge involve re-filing returns for past taxation years to take advantage of significant loss-carrybacks which may not be supportable. Unusual or notable changes in deductions or credits: The CRA compiles information about deductions and credits claimed by taxpayers over multiple years and significant changes from one year to another may attract CRA inquiries. Taxpayers with a viable explanation for significant changes need not worry. However, taxpayers who become involved in aggressive tax strategies may be flagged for audit. This criterion for risk assessment considers the year-to-year consistency of a range of deductions including management fees, interest on debt to non-residents and amounts paid in respect of intellectual property that has been “offshored”. Disallowance of management fees and interest payments may give risk to the severe result of double taxation, by which the amount is taxable in the hands of the recipient, but non-deductible to the payor. Participating in aggressive or high risk tax strategies: The CRA has dedicated audit resources to detecting and reassessing a number of issues, including: artificial capital losses; loss trading transactions; surplus stripping; offshore investment accounts; donation arrangements; withholding tax; section 85 rollover transactions; permanent establishment/residency issues; interest deductibility; RRSP appropriations; and tax free savings accounts. Discrepancies between tax filing position and filing positions for similarly situated taxpayers or private corporations: The CRA may compare: corporate tax returns amongst similar businesses; the relationship of purchases, sales and GST/HST remitted to other businesses in the same industry to ascertain whether remittances are reasonable; and tax returns of shareholders of a private corporation to the corporation’s tax filings. Therefore, filing positions which are not consonant with expectations for an industry, or which are not consonant amongst shareholders and their private corporations, may attract an audit. Reported income low compared to residents in same neighbourhood: This suggests that an individual may have unreported income. Unreasonably low reported income is not only an audit trigger, but may cause the CRA to initiate a so-called “net worth” or arbitrary assessment, whereby various tools are deployed by the CRA to impute income to the taxpayer. Not using fair market value for residential real estate rentals: Where real estate rentals yield no income or losses, the CRA may suspect that the property is being rented for less than market-value rent to a non-arm’s length person. The CRA may rely on property tax and interest expense information to ascertain the value and market rent for a property. Referrals: The CRA may commence an audit based on information obtained during the audit of a third party, or because of a referral from another CRA department, other government organizations or informants. Sometimes estranged family members share information with the CRA, including estranged spouses seeking leverage in a family law dispute.